I love reading about science-fictional materials. SF authors are not limited by existing techniques (or even known laws of physics) and so they can use their imaginations in constructing new materials. The new era of 3D printing seems to herald a new era for materials as well. Although it is not quite possible to 3D print at the atomic level, still 3D printers are being used to create new combinations of alloys. For making spacecraft, engineers sometimes need custom parts that traditional manufacturing techniques and standard 3-D printers can't create, because they need to have the properties of multiple metals. Now, researchers at NASA's Jet Propulsion Laboratory in Pasadena, California, are implementing a printing process that transitions from one metal or alloy to another in a single object. "You can have a continuous transition from alloy to alloy to alloy, and you can study a wide range of potential alloys," said R. Peter Dillon, a technologist at JPL. "We think it's going to change materials research in the future." 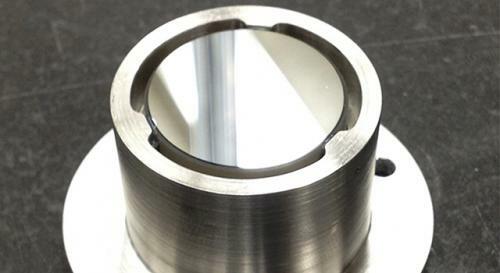 Although gradient alloys have been created in the past in research and development settings, this is the first time these composite materials have been used in making objects, such as a mount for a mirror, said John Paul Borgonia, a JPL mechanical engineer. Why would you need to make a machine part like this? Say you want a metal object where you would like the ends to have different properties. One side could have a high melting temperature and the other a low density, or one side could be magnetic and the other not. Of course, you could separately make both halves of the object from their respective metals and then weld them together. But the weld itself may be brittle, so that your new object might fall apart under stress. That's not a good idea if you are constructing an interplanetary spacecraft, for example, which cannot be fixed once it is deployed. Some of my favorite examples that might be 3D printable include Durite from Robert Heinlein's 1939 story Misfit, fanmetal from Frank Herbert's 1965 novel Dune, and Helio-Beryllium from Robert H. Wilson's 1931 story Out Around Rigel. I'm sure everyone has their favorites. What more do you need, engineers? 'The water flowed off those walls without binding tension. '- Frank Herbert, 1965.